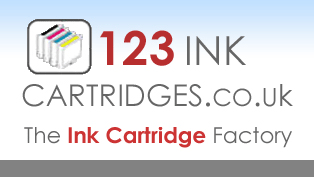 High quality compatible, original and remanufactured ink cartridges with Fast & Free UK Delivery. Save money and time from today on ink cartridges and laser toners with low direct prices for all major printer brands and no minimum order level. All UK orders receive free and fast delivery. Same day despatch on all orders before 3pm. Worldwide airmail is also available. Specialists in ink cartridges and laser toners for Epson, Canon and Brother printers, catering for all ink cartridges at super competitive prices. What makes us different.. 'Choose Your Own Colours' with all our compatible multipacks, only buying exactly the colours you need and still giving a great multipack price and we include optimisers and photo blacks. Including 'free same day despatch' with 'no minumum order' and '10% off all future orders', giving the best value printing and all with a '12 month guarantee'. Many ink cartridge packs to suit your printing needs for Epson, Canon and Brother printers including the popular Epson Expression, Epson Stylus, Epson WorkForce, Canon Pixma, Brother DCP and latest Brother MFC models. We have many offers on ink cartridges and laser toner ink cartridges for Epson, Brother, Canon, HP, Lexmark, Dell, Samsung, Panasonic, BT, Compaq, Xerox, Kodak, Oki, Neopost and Pitney Bowes. Look out for Epson, Canon and Brother ink cartridge packs with extra free ink cartridges and photo paper and our Buy 2 Get 1 Free offers. April Free Paper all orders of compatible or remanufactured ink or toner cartridges over £25 receive a free 20 sheet pack of A6 photo paper, orders over £50 receive a free 500 sheet ream of A4 80gsm copy paper, see details. Shop 24 hours a day 100% securely online. Card transactions are processed by WorldPay on their secure servers. To place an order by telephone call Freephone 0800 9551239 (Mon-Fri 9am-5pm). Use the Find My Printer tool above, or select your printer brand and save on ink cartridges and toner cartridges from today with 123 Ink Cartridges. Price, quality and service, people who care. All compatible ink cartridges and laser toners carry a full 12 months warranty. Guaranteed to give excellent results, produced to the same ISO14001 and ISO9001 quality standards as the original manufacturers ink cartridges and using the best components available. The yield of all our ink cartridges are assured to equal or exceed that of our original manufacturers ink cartridges every time and the quality is second to none.